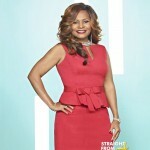 Dr. Heavenly Kimes, an Atlanta area dentist who is next up on the cast of characters on Bravo’s ‘Married to Medicine’. Kimes joins the show during it’s second season and has the honor of being the first dentist to join cast. A leading Atlanta dentist and founder of Heavenly Dental Associates, Inc., Dr. Heavenly Kimes is an author, inspirational speaker, and business powerhouse. For over 12 years, Dr. Heavenly has been making her mark on the dental industry and the business world with her straight-talk style, strategic expertise, and proven credentials. She owns four dental practices in Metro Atlanta and has sold two profitable clinics. She graduated at the top of her class with a Doctorate of Dental Surgery from Meharry Medical College and earned a Bachelor’s degree in Biology with minors in Chemistry and Military Science from Florida A&M University. 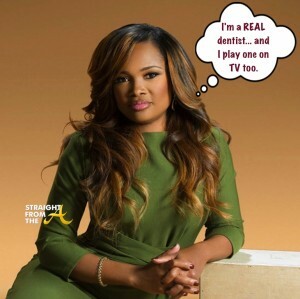 Additionally, Dr. Heavenly — a native of Miami, FL — holds a real estate license, an insurance license and a Series 65 certification, and is a member of the American Academy of General Dentistry, National Dentistry Association, and the Georgia Dental Society. A “Who’s Who Among America’s Top Dental Professionals” honoree, Dr. Heavenly has received industry recognition for her work and achievements. She was selected as one of the 2010-2011 “Atlanta’s Top Docs” by On Common Ground News and, in 2004, she received the “America’s Top Dentist” award from the Consumer Research Council of America. Co-author of the best-selling series Wake Up. . .Live the Life You Love, Dr. Heavenly recently released the informative Dr. Heavenly’s Business Prescriptions, a motivating advice guide that breaks down complex business concepts to their simplest forms and offers personal insight and strategies for building a successful business. 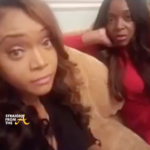 Dr Heavenly has been happily married to Dr. Damon Kimes for 15 years and has 3 kids and 4 dogs. 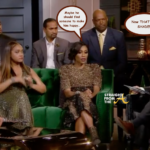 Our friends over at Starcasm dug deep into the life and times of Heavenly Kimes and revealed a lot of interesting information about Atlanta’s newest ‘Bravolebrity’…. CLICK HERE to read their informative post. Entrepreneur Lisa Nicole Cloud is also joining the cast. Cloud runs a successful fashion line (her business partner is reportedly Dwight Eubanks of ‘The Real Housewives of Atlanta’). 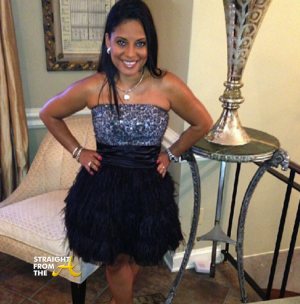 She is the wife of Atlanta-area Dr. Darren Naugles and mother of two. Lisa Nicole Cloud is a woman of passion, purpose, and vision. Lisa, a true multifaceted business mogul, has achieved phenomenal success as a direct sales expert, author, business and success coach, speaker, sales trainer, clothing designer and philanthropist. Lisa is the CEO of several successful companies. Lisa is proof that through hard work, focus on personal development, and great mentorship, one can truly live the life they’ve always dreamt of. Lisa received her undergraduate education in Atlanta, Georgia, at Emory University where she was a Psychology/Pre-Med major. She completed her graduate work at Johns Hopkins University where she successfully completed their prestigious Leadership Development Program. Lisa is a former pharmaceutical sales rep who is now known as “Ms. Millionaire Maker” for her accomplishments in the development of MLM Millionaires who have been personally coached and mentored by her! Lisa teaches her mentees how to turn their passions into profits and tap into their greatness. As a result of the success she experienced in direct sales, Lisa launched, The Lisa Nicole Collection, an affordable high fashion, business couture collection for today’s businesswoman. The sleek designs of the Lisa Nicole Collection exude the power, class, and sophistication of today’s professional woman. Lisa is a devoted wife to Dr. Darren Naugles and is the loving mother of two beautiful children, DJ and Amira. Don’t let her small stature fool you, Lisa is a little dynamo. Dynamic, captivating, charismatic, passionate, and genuine, are often terms that have been used to describe Lisa. Lisa’s mission in life is to help people identify their God-given talents so they can do more, be more and achieve more, and impact our community in a positive way. Married To Medicine Season 2 premieres Sunday, April 6 at 9/8c on Bravo. Will you be tuning in to see what’s in store for season #2?